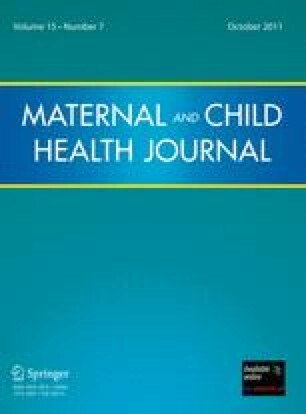 Does Gestational Weight Gain Affect the Risk of Adverse Maternal and Infant Outcomes in Overweight Women? Objective To examine the association between gestational weight gain and adverse maternal and infant outcomes among overweight women [body mass index (BMI) 26.0–29.0 kg/m2]. Methods A population-based cohort study using birth certificate data (1990–2004) from 34,143 singleton, full-term deliveries to nulliparous, Missouri residents ages 18–35. Gestational weight gain was divided into three categories: below Institute of Medicine (IOM) recommendations (<15 lbs), within IOM recommendations (15–25 lbs), and above IOM recommendations (>25 lbs). Categories of 10-lb increments were also evaluated. The primary outcomes were preeclampsia, cesarean section, macrosomia, low birth weight (LBW), and perinatal death. Adjusted relative risks and 95% confidence intervals (CI) were calculated using Mantel–Haenszel pooled estimator. Results Compared to women who gained 15–25 lbs, women who gained <15 lbs were 0.8 (95% CI 0.6–1.0), 0.9 (0.8–1.0), 0.6 (0.5–0.8), and 1.7 (1.4–2.2) times as likely to have preeclampsia, cesarean section, macrosomia, and LBW, respectively. Conversely, women who gained >25 lbs were 1.7 (1.5–1.9), 1.3 (1.2–1.4), 2.1 (1.9–2.3), and 0.6 (0.5–0.7) times as likely to have preeclampsia, cesarean section, macrosomia, and LBW, respectively. The lowest risk of adverse outcomes was for women who gained in the 6–14 and 15–24 lb categories. There was no association between gestational weight gain and perinatal death. Conclusions Increasing gestational weight gain appears to decrease the risk of LBW but elevates the risks of preeclampsia, cesarean section, and macrosomia. Overweight women should gain within current IOM recommendations. National Center for Health Statistics (2005). Prevalence of overweight and obesity among adults in the United States. Available from: http://www.cdc.gov/nchs/products/pubs/pubd/hestats/3and4/overweight.htm. Cited 15 May 2006. Jazayeri, A. (2005). Macrosomia. Available from: http://www.emedicine.com/med/topic3279.htm. Cited 26 July 2006. Centers for Disease Control and Prevention (2006). Overweight and Obesity. http://www.cdc.gov/nccdphp/dnpa/obesity/. Cited 15 May 2006.